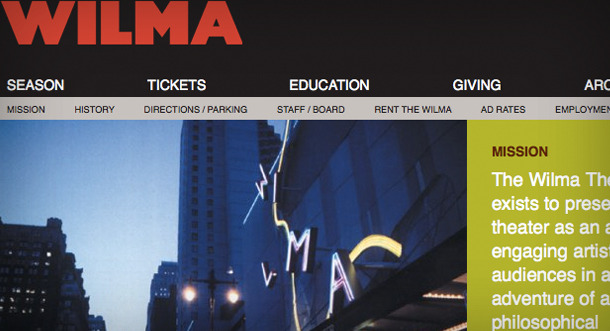 We were thrilled to have the opportunity to help The Wilma Theater develop their new web site. We've been working with this award-winning theater company, handling their PR for many seasons, so we were excited to create a new full-featured site to showcase their work. We collaborated with their principal designer Caren Goldstein, and took the lead on site architecture, Drupal build, and theming. The site features numerous enhancements both for theatergoers, and for the site administrators. We took full advantage of Drupal's flexibility to let the Wilma's staff easily create new productions, seasons, blog posts, galleries, and other content, and integrate it all with their ticketing vendor Tessitura.